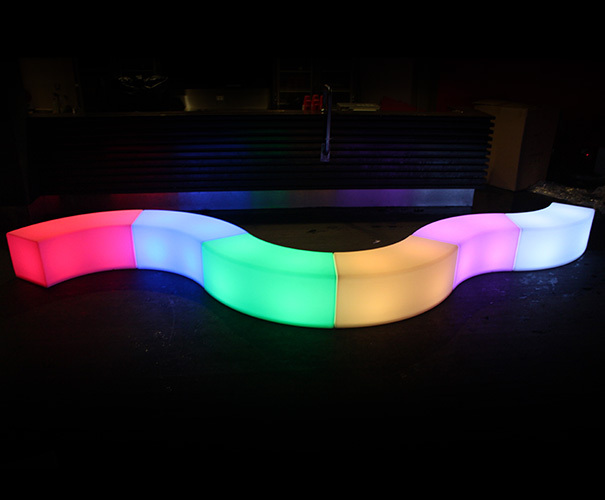 The glow bench is commonly referred to as the curved bench or snake bench. 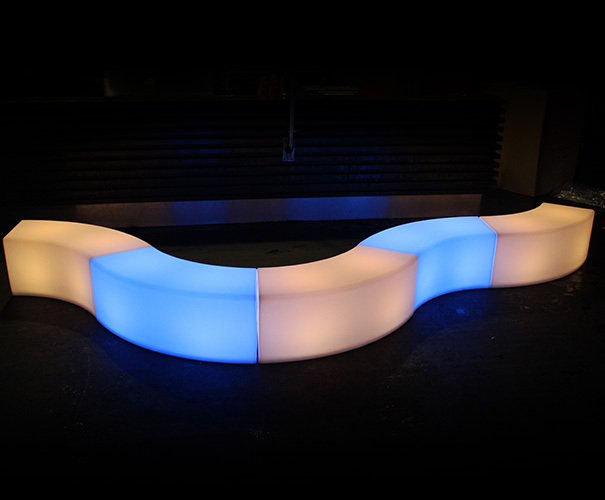 It gets its name from its curved exterior which can be joined in a sequence pattern to resemble a snake like slither. 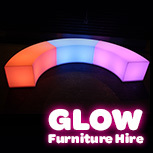 Each glow bench can comfortably seat 2 adults. 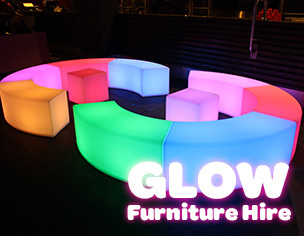 They can be scattered around or joined up to form a long bench. 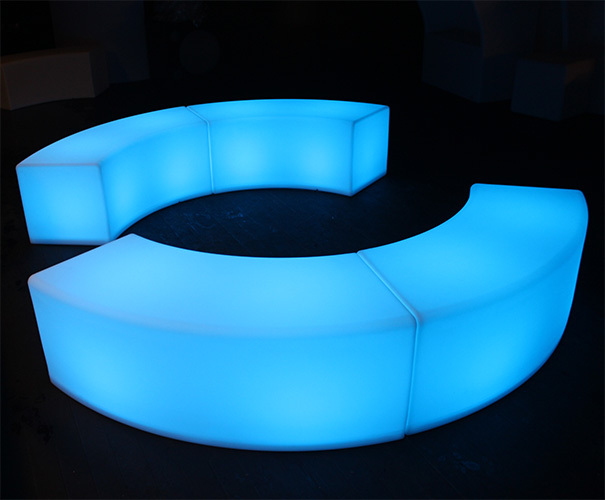 They can also be placed to form a semi circle or full circle. 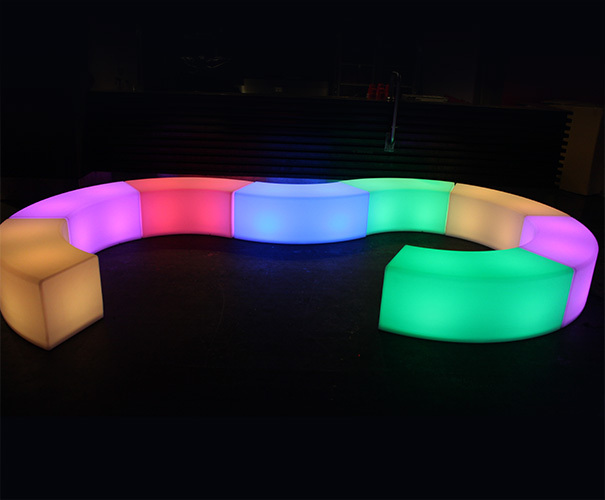 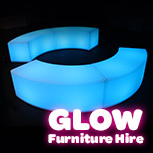 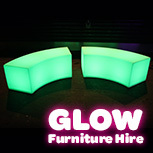 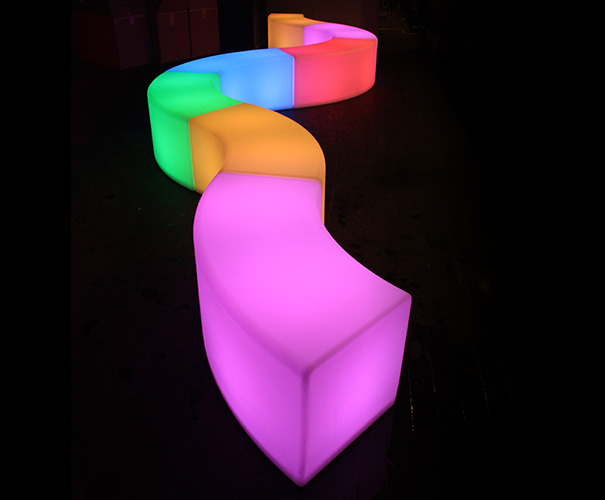 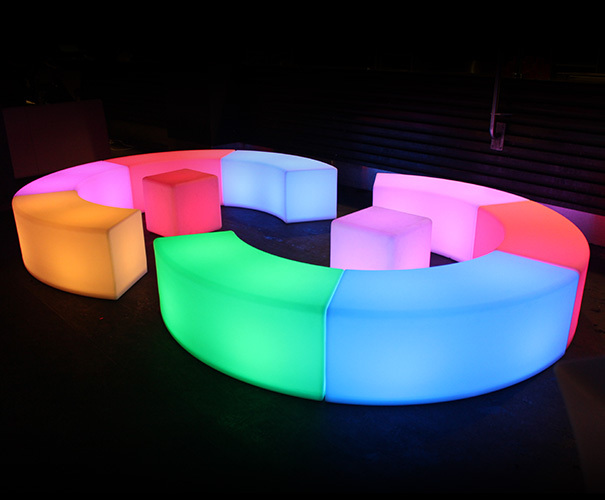 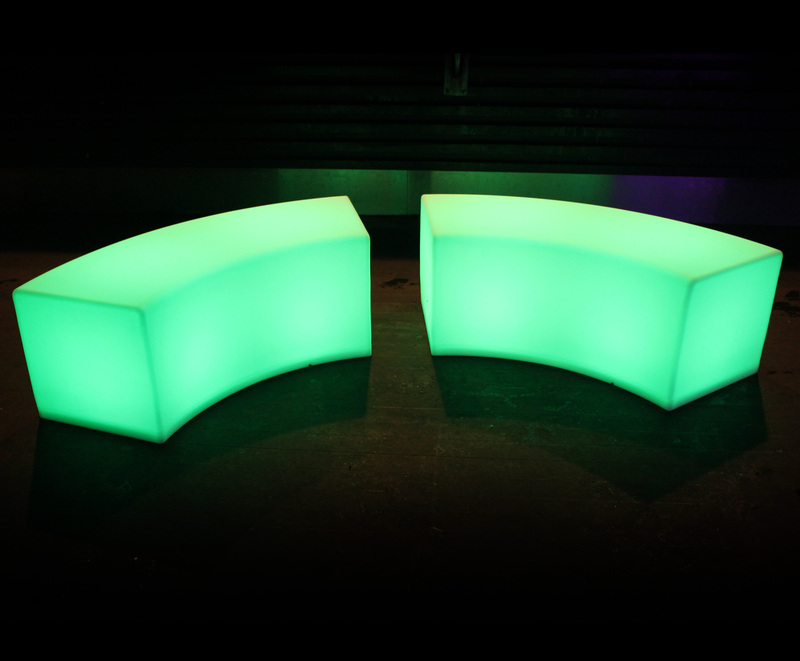 The glow bench has the same features as all our other glow furniture hire. 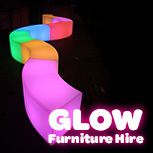 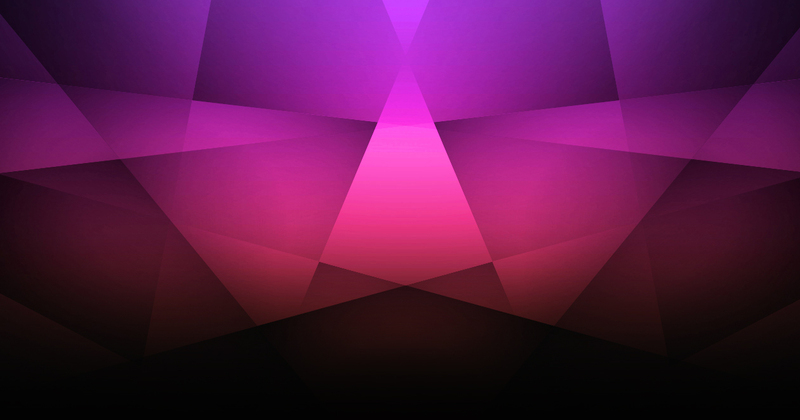 This includes the ability to select from 16 different colours. 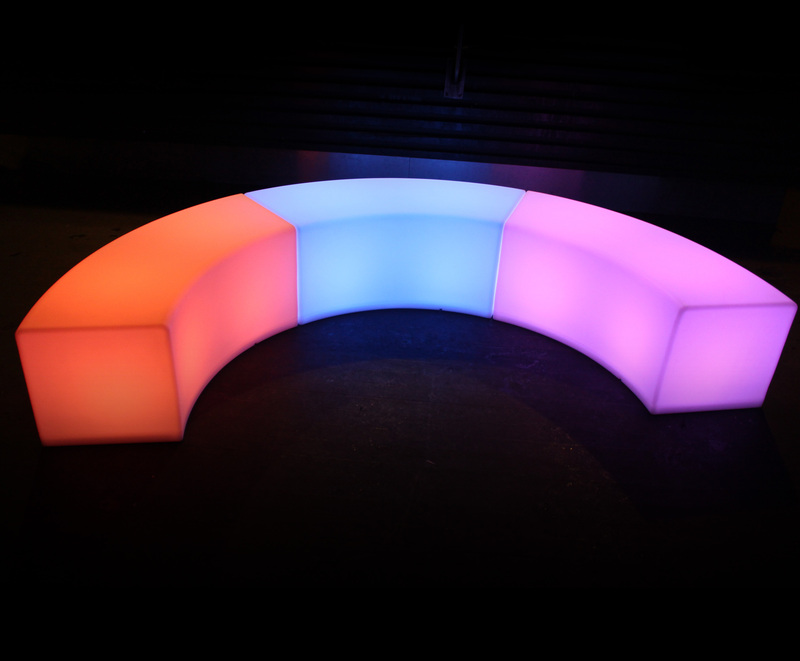 The hire of the curved bench also includes a remote which allows you to choose and change the colours, and also select your mode which can include a slow fade, a still glow or a flashing glow. 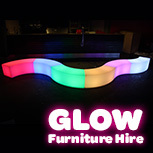 The glow curved bench includes a weatherproof exterior so it can be placed indoors or outdoors. 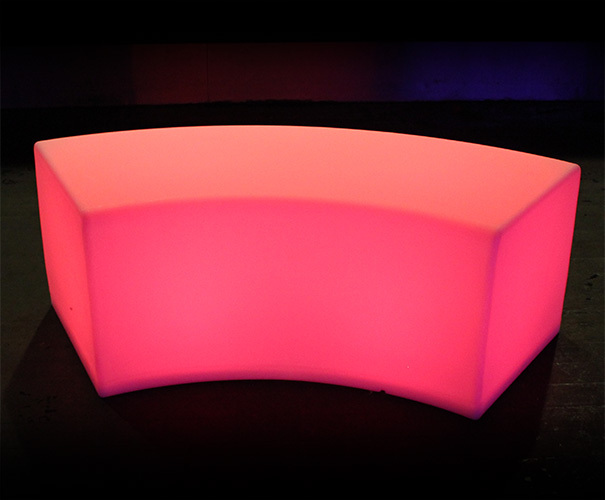 A wireless battery sits inside the bench, giving it 8 hours of glow time. 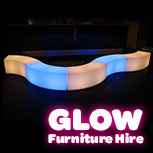 This ensures there are no messy wires and gives a nice, clean finish once set up. 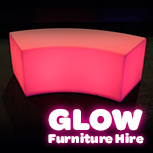 We provide a full delivery service across Sydney for a small fee, or you can collect from our warehouse in Sydney. 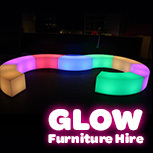 Please see our light up curved bench hire prices below.